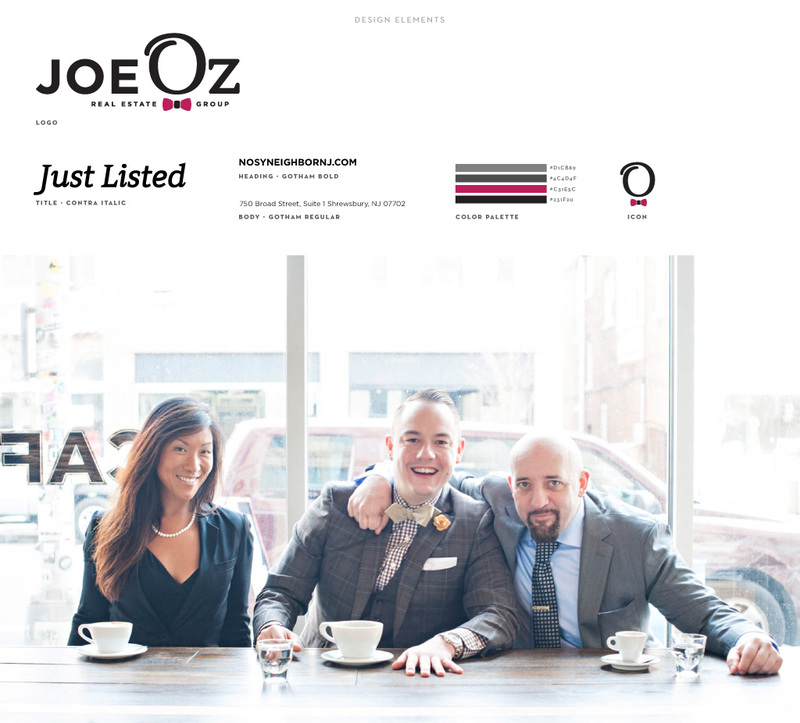 In order to promote his bicoastal business, real estate agent Joseph, “Joe Oz,” Ossichak III, who recently opened new Joe Oz Real Estate Group offices in Shrewsbury, New Jersey, and Irvine, California, sought M studio’s branding strategies and graphic design services. In developing his branding, M studio referenced Joe’s signature fashion accessory to create his slick, bow tie-sporting logo. We then expanded upon this branding to create custom business cards, stationary, postcards, signage, and t-shirts to further promote Joe’s business.